Camping Le Deffay är en camping i Pontchâteau, Loire-Atlantique, belägen vid en sjö/en rekreationsplats. Denna terrasscamping har platser med stängsel, med skugga, utan skugga och platser med lite skugga. Det finns möjlighet att hyra husbilar och bungalows. På campingen finns en lekplats. För den sportige semestervandraren har campingen olika cykelleder. Det finns ett ett fitnessrum. Campingen förfogar över en inomhusbassäng med skjuttak och ett knattebad. I Camping Le Deffay är det tillåtet att vindsurfa. Denna inspektör gör varje år ett besök på Camping Le Deffay och inspekterar campingen för ca 200 faciliteter och för andra förekommande punkter. Inspektören är en medarbetare från ACSI och arbetar inte för campingen. Ogillade - Bar & restaurant closed for season on August 25th. Gillade - overall feel of the site - laid back management style and friendly fellow campers. No noisy large parties. Close enough to Nantes (great city wide Summer activities/events esp. Isle of Machines) for day trips and also the beaches. Ogillade - Pool roof was closed throughout. Table tennis table (only 1) had seen better days and could be closer to the reception / bar - it was amongst chalets. Reception was closed when we got there after 19:00 and no information left for us re pitch - didn't realise it wasn't like one of the bigger sites we normally stay at. Managed ok via GCSE French and the restaurant staff and reception staff made special effort to come back to sort us out. Gillade - The campsite is in a beautiful location. There were otters on the lake in the evening and loads of wildlife. Staff were friendly. There is a great pool which is mainly covered so was great to keep out of the heat of the day. There is a small shop with fresh croissants and bread daily. Good facilities and kept clean and tidy. Nice play areas for the children and a restaurant. A lovely laid back stay. Ogillade - The shop doenst have any fresh produce which is a bit of a shame. Gillade - Lovely open site; pitch was especially large, which was good as we had our son and his wife and their young children staying with us. Very quiet site overall with plenty of space between units on our side of the lake. Although our unit was a little dated, we were very pleased with the comfort and equipment within it compared with other sites we stayed on during our holiday in France. The owner and staff were very friendly and helpful during our stay. Ogillade - Only very minor disappointment - unfortunately, we only found the information booklet in our unit (in a drawer) on our last day when we were checking through everything. Perhaps this should have been put out on the table for our arrival? Vill du boka campingen Camping Le Deffay eller få mera information? Det går bra med nedanstående uppgifter eller via campingens webbsida. 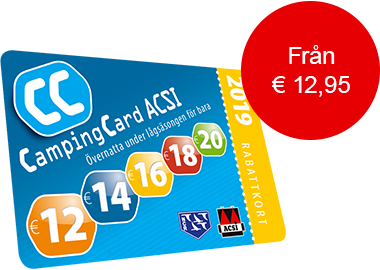 ACSI Eurocampings skickar din informationsförfrågan till "Camping Le Deffay".